The Omnio ceiling mounted occupancy sensor EOSWA-W-WAND SOLARPIR is a battery-less and maintenance-free PIR motion sensor with both wide angle and long-range options for maximum efficiency and flexibility in different room settings. 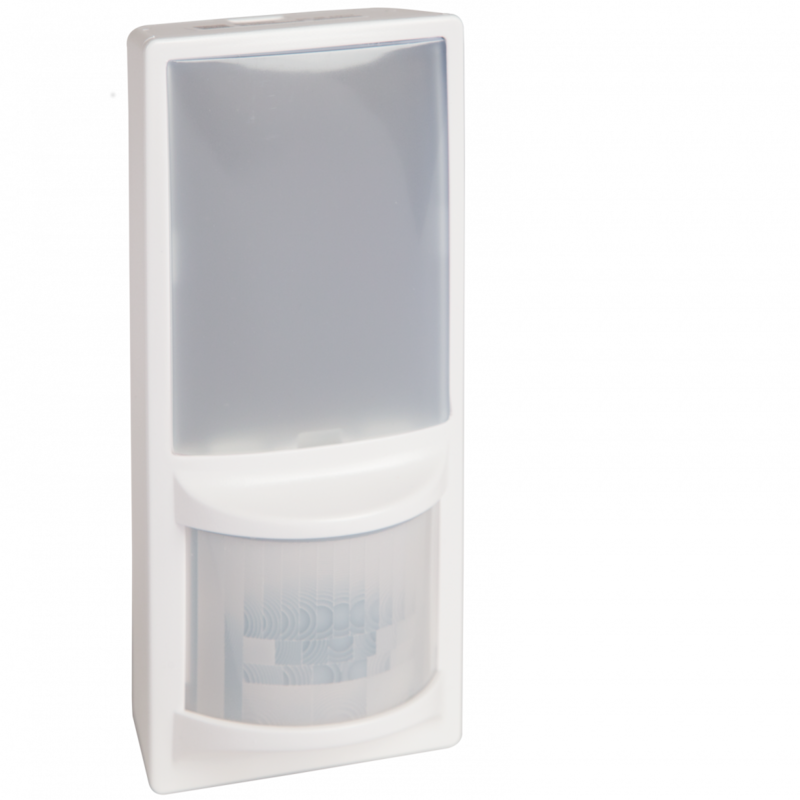 It communicates wirelessly with other devices using the EnOcean wireless standard (EEP A5-07-01). An integrated solar cell enables indoor light energy harvesting to power the device and eliminate the need for wires or batteries. In low light environments the device can be powered by an optional coin cell battery. Two molded buttons with LED indicator lights can be used to link and configure the device.